Flower tributes outside Christchurch's Royal Botanic Gardens on Sunday morning. All around Christchurch, people were doing what they could to help. On Saturday, the day after 50 people were murdered while worshipping at two mosques in the quiet New Zealand city, they came with flowers. Piles of bouquets mounted up at roadblocks near the Al Noor mosque and the Linwood Islamic Centre, and at the city’s Royal Botanic Gardens halfway between the two. Early on Sunday morning, people were still bringing flowers to the Royal Botanic Gardens. People stood in silent reflection, the roads largely empty. Others went to the city’s central library, Tūranga, to write messages in a condolence book. The messages spoke of shock, sorrow and love. A condolence book has been set up on the ground floor of Tūranga, the central library, so people can leave messages of support and sympathy for those affected by Friday's mosque shootings. 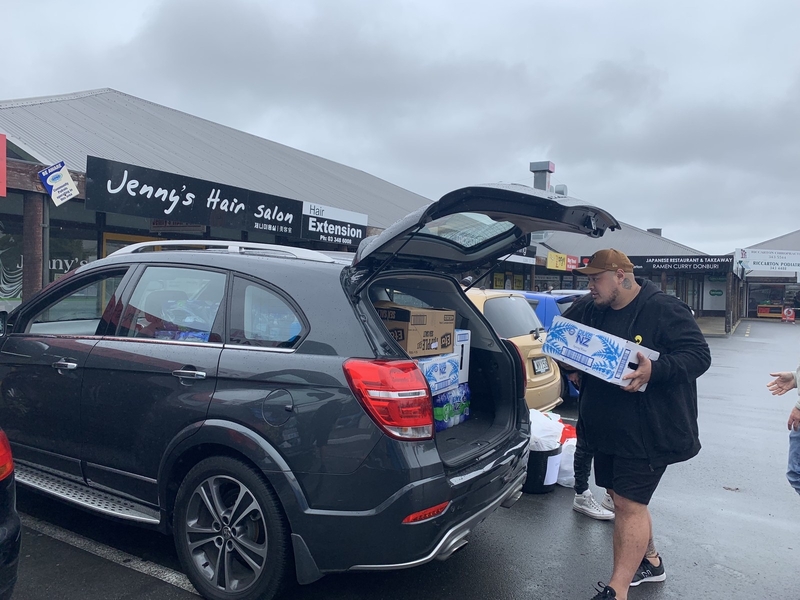 Elsewhere, Christchurch residents were working to provide food for the families of victims, survivors, and other members of the Muslim community affected by the shootings, who were gathered together in a hub set up at Hagley College. Mustafa Rabani, 21, works at the city’s only halal supermarket, Maihan. He told BuzzFeed News the shop had seen many new non-Muslim customers come in over the weekend and ask what to buy to donate to the Muslim community. Rabani came to New Zealand over 16 years ago from Afghanistan. Two of his Afghan friends were killed on Friday. “In New Zealand, I thought nothing like this would happen,” he said. For now, his mother and two little sisters are afraid to leave their home. Mustafa Rabani at work at Maihan supermarket. Rabani has recommended that his customers donate dates, canned food, pickles, tomato paste, and meat. The food donations were so overwhelming that on Saturday evening, Canterbury Police tweeted to let the public know they had received enough. Cantabrians are so generous. The family assistance centre at Hagley College has more than enough food! Thank you to everyone who has supported its efforts so far but no more food is required at this stage. On Sunday morning, a barber shop sprung into action. “We just want to be practical,” Sarah Brown, who is co-owner of hairdresser My Fathers Barbers in central Christchurch, told BuzzFeed News. She and her husband Matt were helping out at the hub at Hagley College until 2am on Sunday morning, where they saw there was an abundance of food, but not enough water bottles, cutlery, or coffee cups for hot drinks. So they posted on their business’ Facebook page this morning, asking their customers to drop donations at the hairdresser. 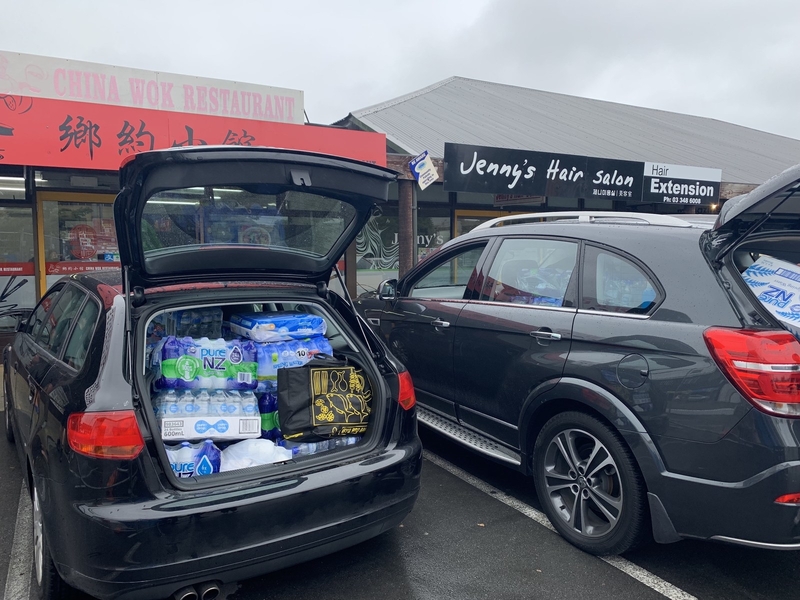 Three hours after the Facebook post, Brown told BuzzFeed News three cars and a van had already made seven trips ferrying the constant sea of donations to the families at Hagley College. They had also organised for a chef to come and cook for the families. "We're going to keep going until 5 o'clock, and then reassess what they need at the site," Brown said. But an hour and a half later, at 2:40pm, she posted on Facebook again: they had so many donations there was nowhere to store them. Now they were looking for gazebos, and cars to use to drive around the hundreds of family members of victims expected to fly into Christchurch in the coming days. On Friday, Peseta was working at his teaching placement when the school went into lockdown. He and his students hid under desks in a classroom when the lockdown call was given, with the blinds down, lights off and desks stacked by the door. “You hear about it on the news over in the [United] States and around the world, but you just don’t hear it in New Zealand. For it to happen in our city, I just never thought I’d witness that,” he said. He didn’t know anyone in the mosques on Friday. “But being of a diverse background, I can relate, it’s really close to home,” he said. The city still felt unsafe, but rallying together to organise donations made it easier to get back into normal life, he said.